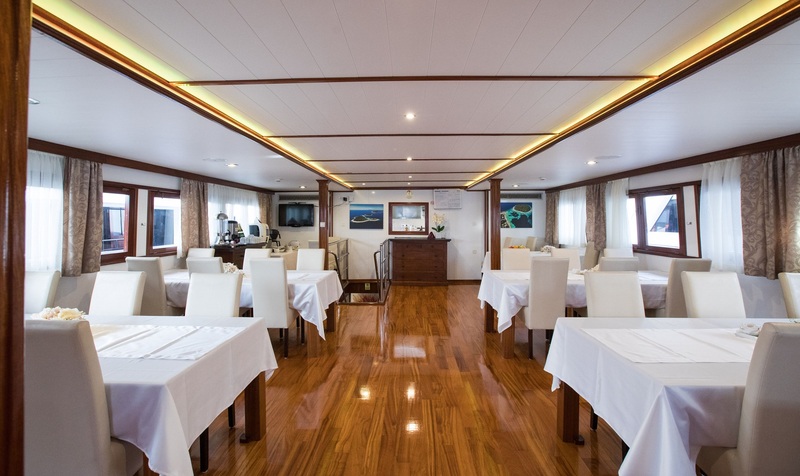 The MV Adriatic Pearl has been delighting cruise passengers for many years. 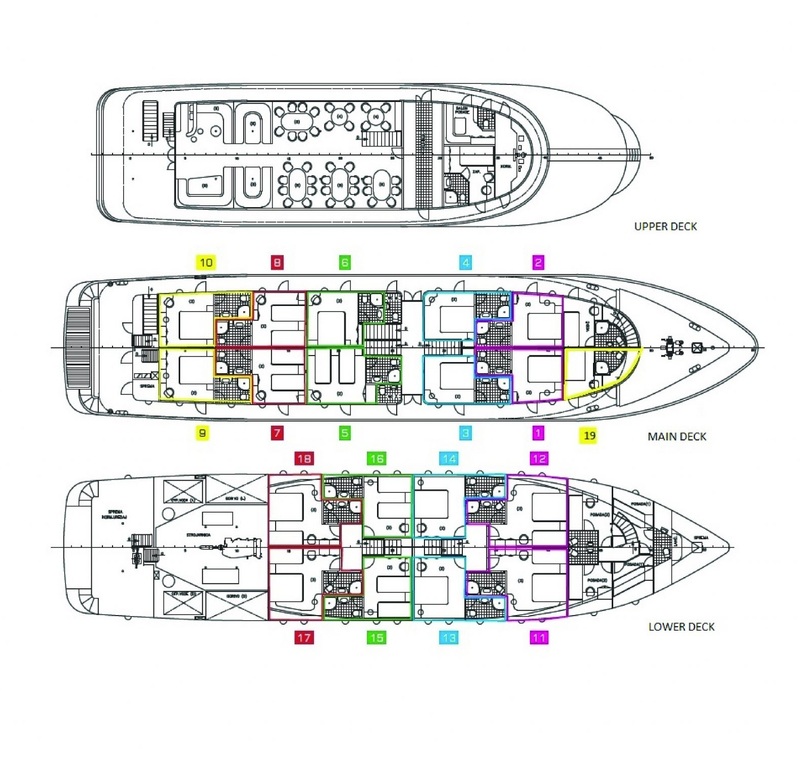 When first launched it set the standard in service, cabin size and overall cruise comfort that others have followed. 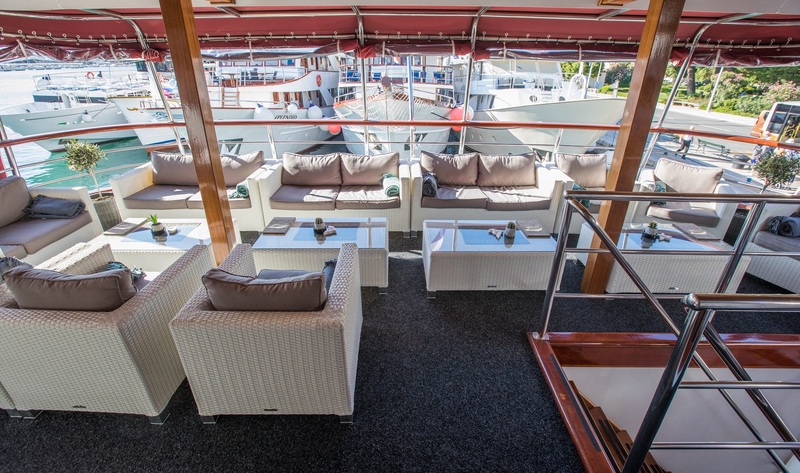 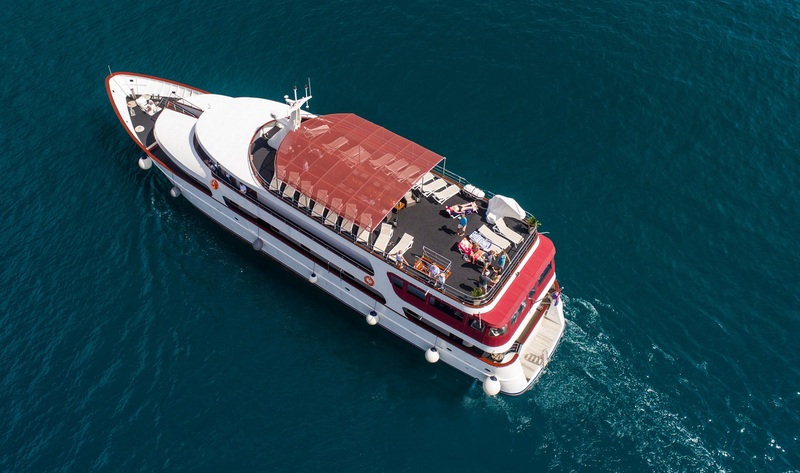 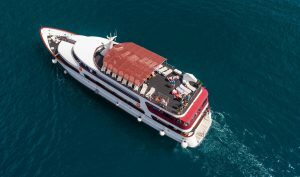 Today, this first class motor yacht, with its elegant decor and modern amenities, is still the perfect ship to explore and discover Croatia’s Adriatic coastline. 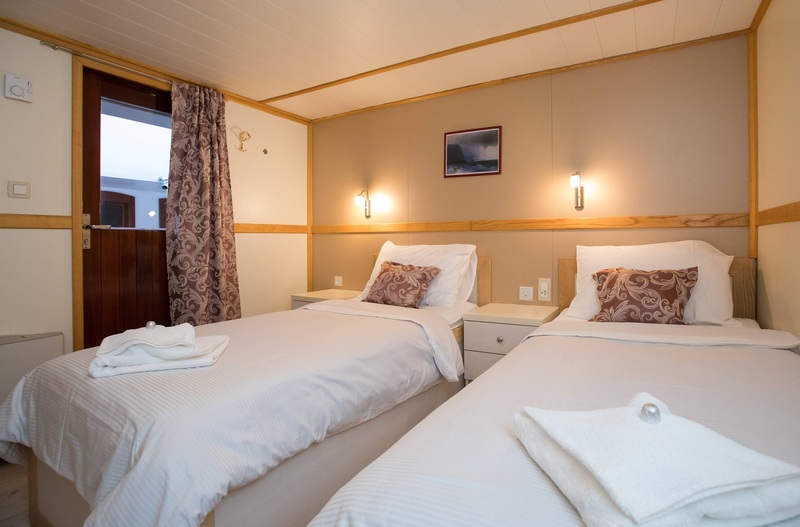 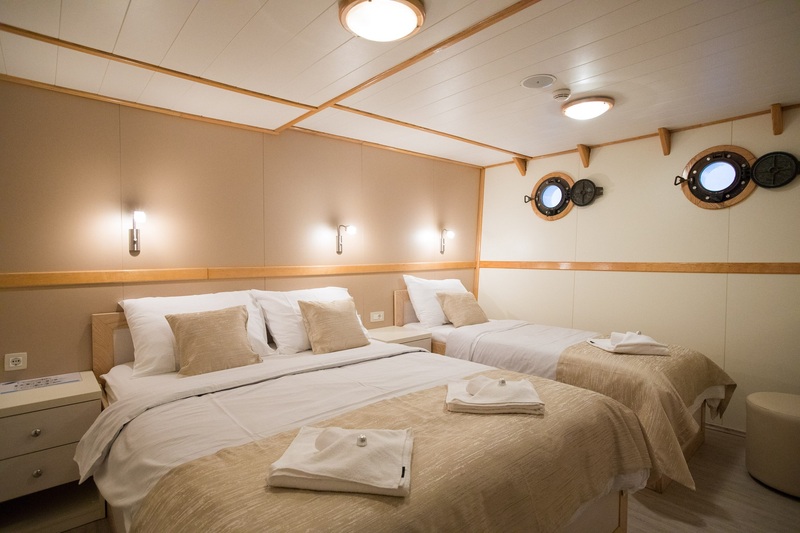 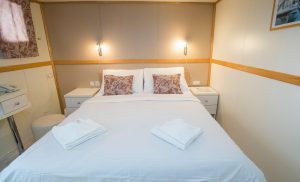 Bright and invitingly decorated cabins can be found over two decks, either on lower deck with portholes or on main deck with windows that open. All cabins comprise queen-size or twin beds, modern private facilities (ensuites), full air-conditioning, and the latest in safety systems. 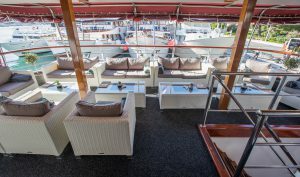 The air-conditioned salon-restaurant is decorated in sleek timber finishes and soft furnishings whilst the lounge-bar area invites you to sink into its leather sofas. 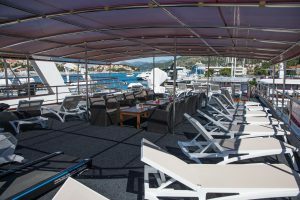 Outside areas include a small covered terrace with tables and chairs located at the rear of the ship and a large sun deck, featuring sun-beds for all guests. 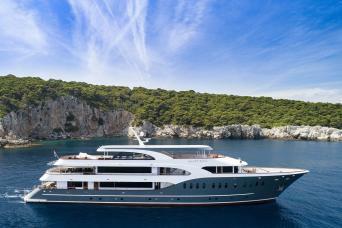 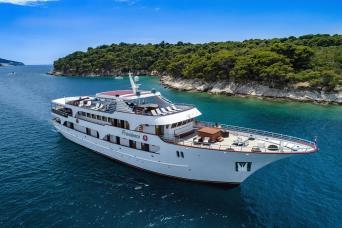 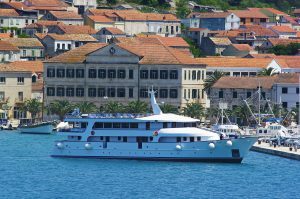 The MV Adriatic Pearl led the way in cruising, now let her lead you away to the magic of Croatia.